In a neighborhood like Brightmoor, it’s the arts that brings people of all ages together, whether you are six or sixty. That’s what we want to support in our development. This is the second phase of an incremental development in Old Redford/Brightmoor. 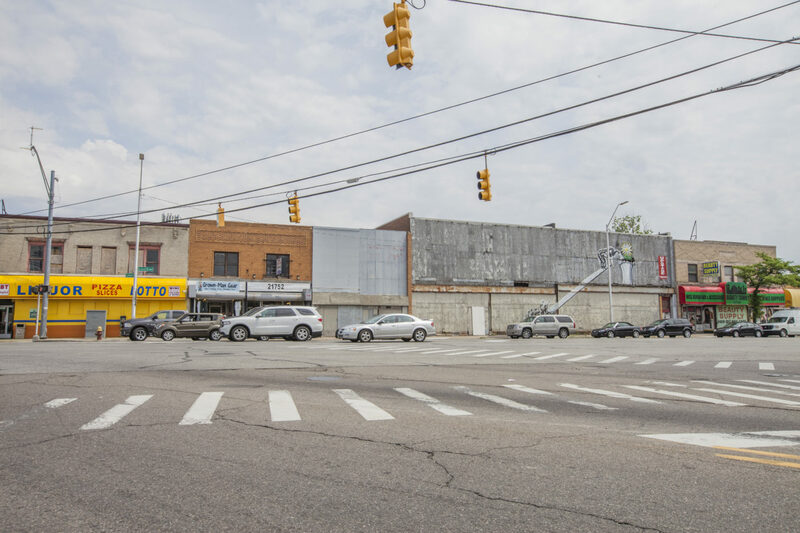 Phase one is the Obama Building, a retail and residential rehab at the corner of Grand River and Lahser. 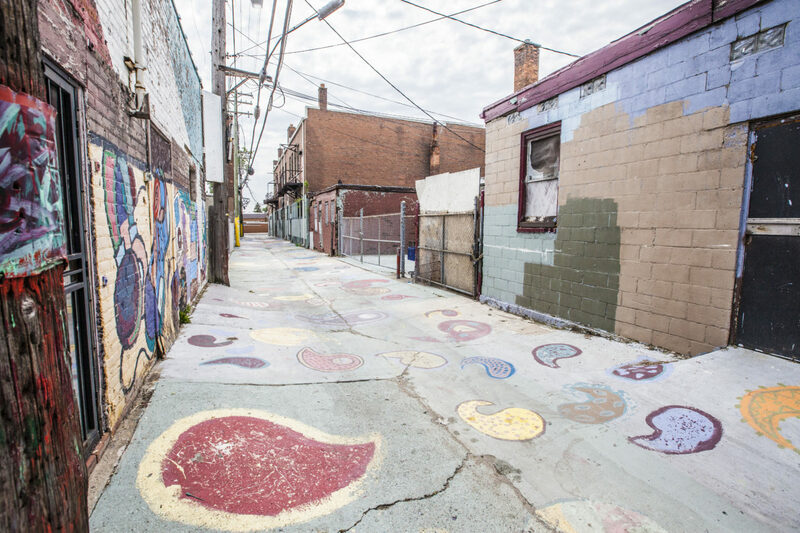 Together, the projects aim to catalyze larger neighborhood revitalization. The arts are an anchor for community engagement in Brightmoor. The Sunflower Building, named for a façade painting by local artist Chazz Miller, will be a physical center for that energy and activity. 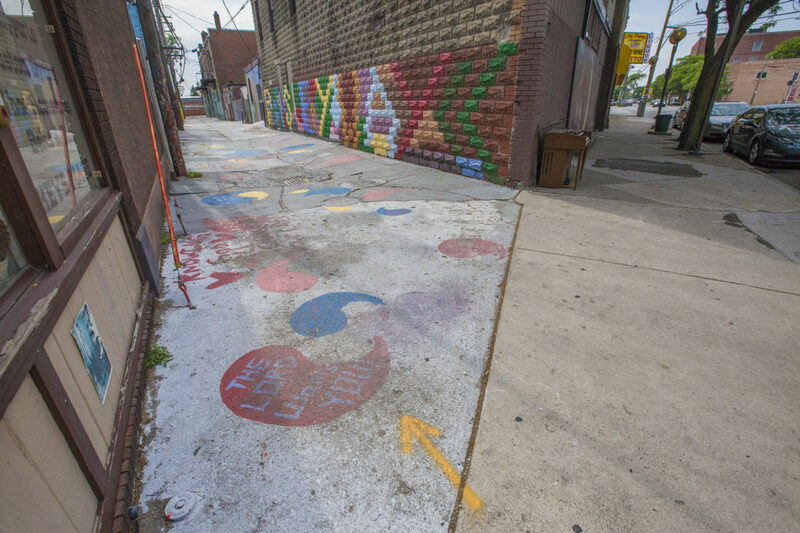 Sharing an alley, the project supports and connects to its neighbor, the Artists Village. The Sunflower Building will feature a variety of spaces from artist studios and classrooms to a performance theater. The building was originally home to a neighborhood SS Kresge Company department store and later the Upstage Theater. The neighboring building north of the Sunflower Building will be demolished to create an alley connection between Grand River and the existing Artists Village. 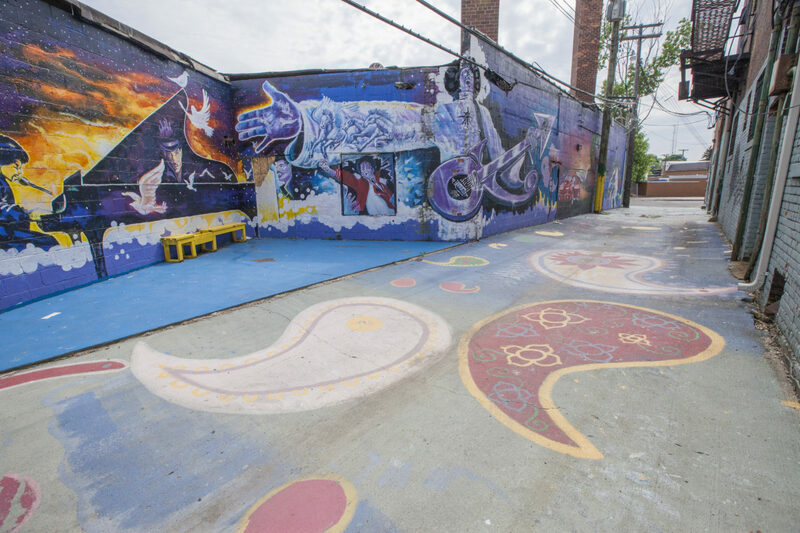 On Community Engagement: We rely on trusted community arts anchors, like Artists Village and Sidewalk Detroit, to identify arts programming that is relevant to the neighborhood. We intend to marry our development capabilities with local programming knowledge and vision. We also work closely with the Fisher Family Foundation, Brightmoor Alliance, and Motor City Blight Busters. On Design Excellence: Because neighborhood development is cost sensitive, the design approach at the Sunflower Building is focused on finding beauty in everyday construction and materials. We plan to celebrate this simple building’s existing clear floor plan and height while opening up the facade to the sidewalk, alley, and side lot.